Former US Vice-President Joe Biden on Friday expressed regret and said that he "should not have made such comments" on US President Donald Trump. 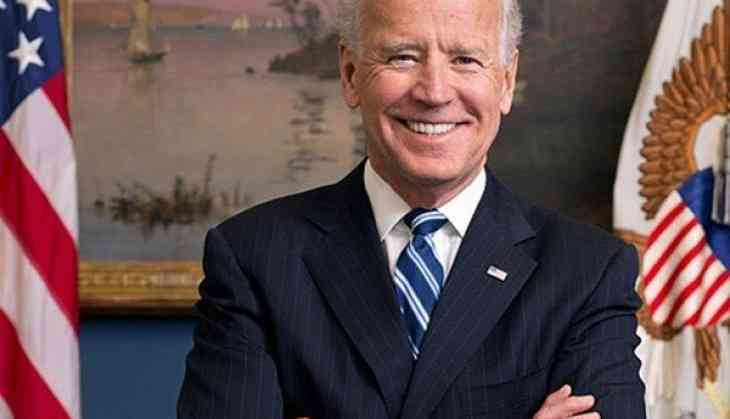 On Tuesday, Biden suggested that he would "beat the hell out of" Trump if they were in high school over the latter's lewd comments about women that he made in an "Access Hollywood" video that surfaced in 2016, The Hill reported. "They asked me would I like to debate this gentleman, and I said no. I said, 'If we were in high school, I'd take him behind the gym and beat the hell out of him," Biden said in an anti-sexual assault rally at the University of Miami. "I think it's important to continue to make the point: women are entitled to be treated with respect, damn it. And it's about time we men stand up," he added. President Trump on Thursday hit back at Biden, saying the former vice-president is "trying to act like a tough guy." "Crazy Joe Biden is trying to act like a tough guy. Actually, he is weak, both mentally and physically, and yet he threatens me, for the second time, with physical assault. He doesn't know me, but he would go down fast and hard, crying all the way. Don't threaten people Joe!" he tweeted. Biden was the US vice president from 2009 to 2017. He has reportedly expressed interest to run for the post of president in the 2020 election. However, he is "unsure" and is "yet to take a decision" on the matter.